With one small, symbolic step, NASA forever expanded the boundaries of boyhood dreams. 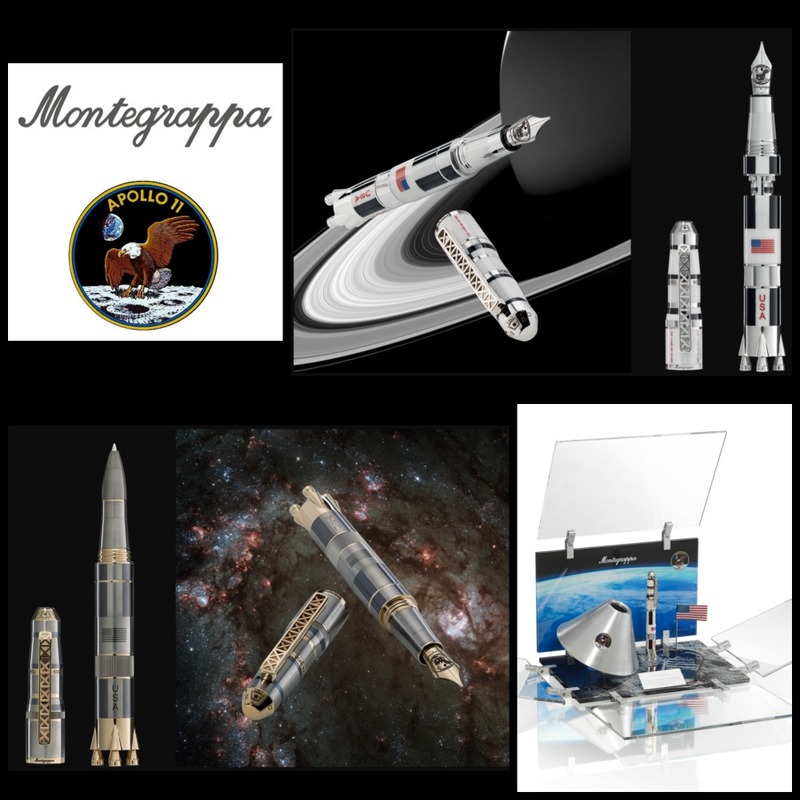 Montegrappa salutes technology, design and supreme achievement in the ultimate pocket rocket. “That’s one small step for a man, one giant leap for mankind.” For those of us who were around to witness mankind’s first contact with the moon, the marvel of the moment remains vivid. For millions of others, the achievements of the Apollo 11 mission continue to symbolise a historical highpoint of human capability and global unity. But among its many epic achievements, Apollo 11 taught us that we are capable of anything. This July marks fifty years since Neil Armstrong’s famous words changed the way we see the world. In commemoration, Montegrappa announces the release of the Moon Landing LE – a writing instrument that defies convention, with the form and function that boyhood dreams are made of. Developed in close coordination with NASA, sleek aerodynamics, gleaming pearlized resin and sterling silver trims provide the Moon Landing LE’s most visible space-age references, but the newest addition to Montegrappa’s Cult Series arrives packed with on-board surprises. Like the Apollo 11 mission itself, it’s a thrilling package of ingenuity, cutting-edge design and technical perfection. Turn the rocket-thruster blindcap clockwise to simulate the Saturn V’s second and third stage separation. Reverse direction to view the fountain pen’s piston-fill mechanism through a special 360º viewing window. Presented in a special lunar landing site diorama, the ultimate tribute to the 20thcentury’s crowning technological achievement can be yours to hold and behold. Measuring 363 feet (110m), Apollo’s Saturn V rocket was powered by engines delivering 160 million horsepower. The Moon Landing LE is realised with exacting precision in strictly limited quantities. 363 fountain pens in fine, medium and broad grades join 110 rollerballs realised in hand-enamelled resin and sterling silver. A stratospheric variant in titanium and 18k gold is available in fountain pen and rollerball modes. In any configuration Moon Landing LE is certain to ignite attention.